Toying with the formula from the word go is the design of the stage. It’s been compared to an aircraft carrier, a galleon and scores of other maritime vessels but in truth it’s simply a long thin platform which sits in the middle of the arena like the centre line on a tennis court. The band are largely free to roam around it like free range hens, with their instruments strapped to their sides in a call back to their troubadour-come-Morris-dancer routes. 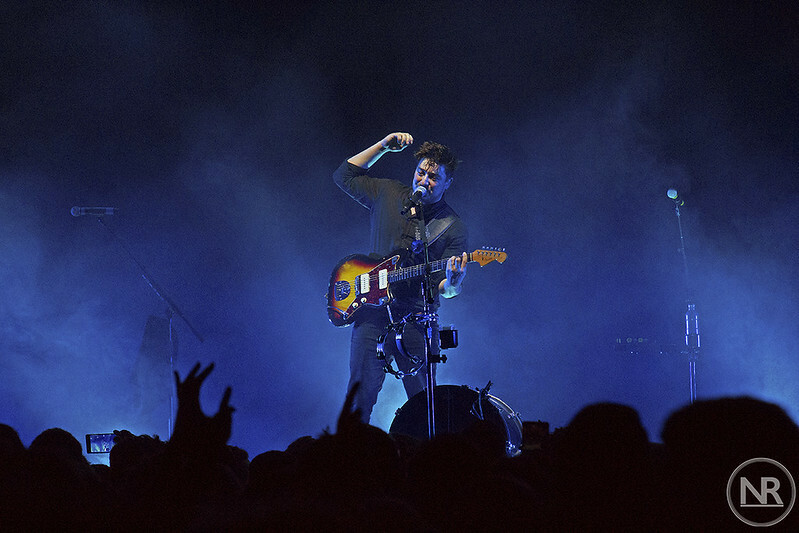 Each night of the ‘Delta Tour’ (sharing the name of the recent fourth Mumford’s album), the evening begins with 30 minutes of folk pop from Maryland born indie starlet Maggie Rogers, who among other things was involved in the production of the recent NYC smash hit indie biography “Meet me in the Bathroom”. At this point, however, the production level is relatively sparse in comparison to what we will see as the evening progresses. 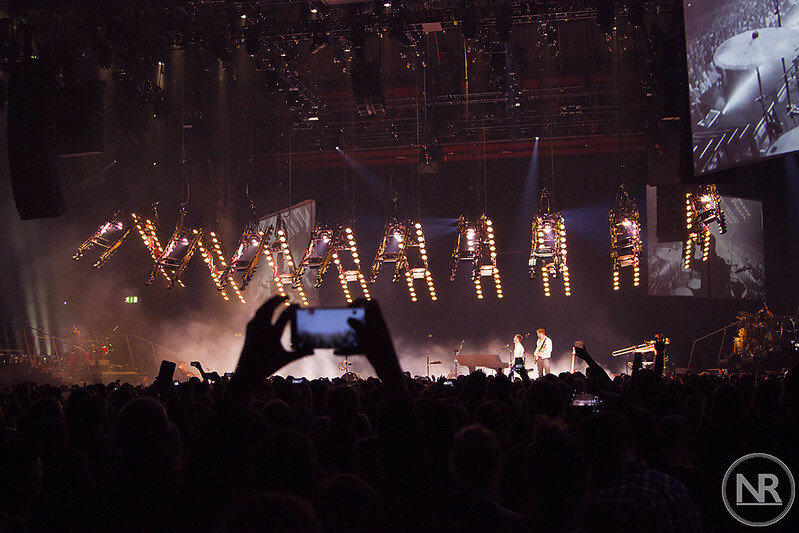 To blur the line between the aforementioned dreaded video screens, the Delta Tour has poured it’s heart, soul and budget into a newly imagined lighting rig which has the ability to warp and morph in the air over the heads of not only the band but also the audience. It bends and articulates like the nodes of a spinal column making the show interesting to look at from all angles of the room, no matter how far away. If anything, the less desirable perches in the arena offer the best view… intimacy one, arena nil. 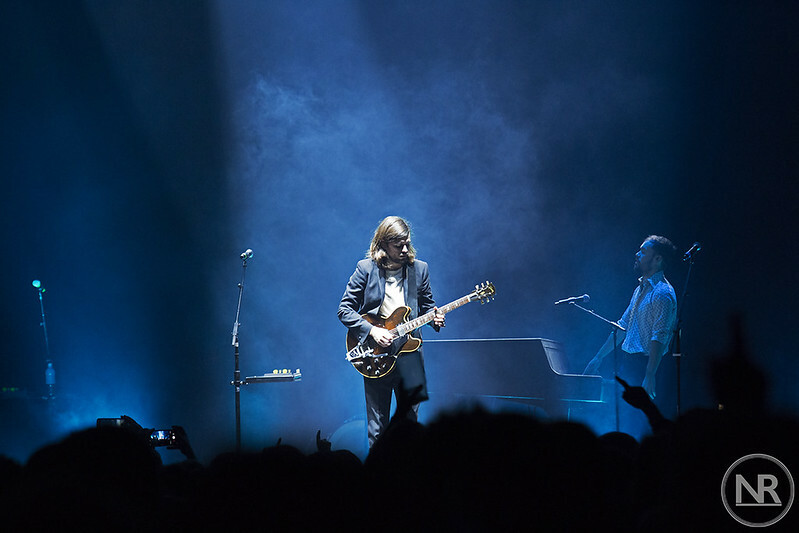 Playing material new and old, all four studio albums get a fair shake on this tour, not least at the top of the show which sees a surprising curve ball. 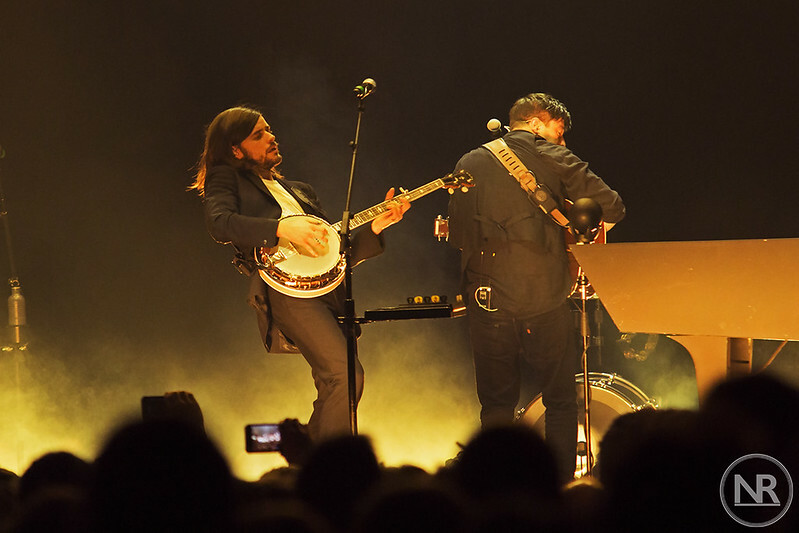 Shooting straight out of brand new song and opening number ‘Guiding Light’, the boys gather at opposing ends of the good ship Mumford to storm through what seems like an almost premature rendition of debut hit ‘Little Lion Man’. It’s wonderful to see that no matter how many genre shifts this band makes they still stay true to the foot stomping that made them famous back in 2009 with freshman effort ‘Sigh No More’. It’s not difficult to applaud what these boys are trying to do with this run of shows. The intimacy which is lost in the translation from club venues to enomodomes far and wide is clearly not an issue taken lightly by Marcus and his band. Yes, the regular claims of ‘we love you’ and ‘we love your city’ are present in an almost mandatory stage Tourette’s kind of way, but they’re able to back their claims up, particularly tonight, when Marcus elects to give a very vocal shout out to Birmingham’s own Glee Club, a small venue which “we’ve played many times” and “has a special place in our hearts”. The crowd tonight are busy. If they’re not stomping their shoes to the beat they’re ethereally holding their fingers aloft and signing along to every “ahhhhhhh ahhhhhh ahhhhh ahhhhh” the band can throw at them. Descending from the rafters during ‘the wild’ is the second star of the show; the troublesome lighting rig. 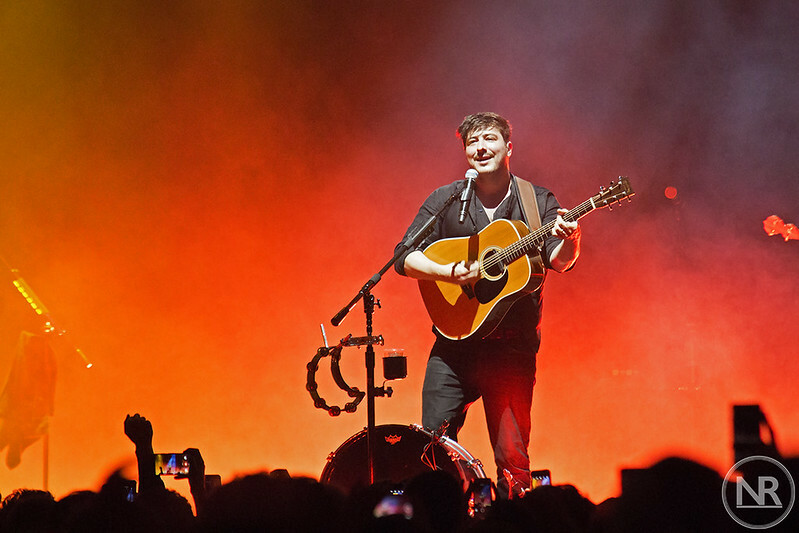 So far, Mumford’s have been forced to cancel four entire shows on the tour, as an oversight from their production rehearsals has created an extremely embarrassing logistical nightmare which to solve would effectively mean the stage set being in two places at once. 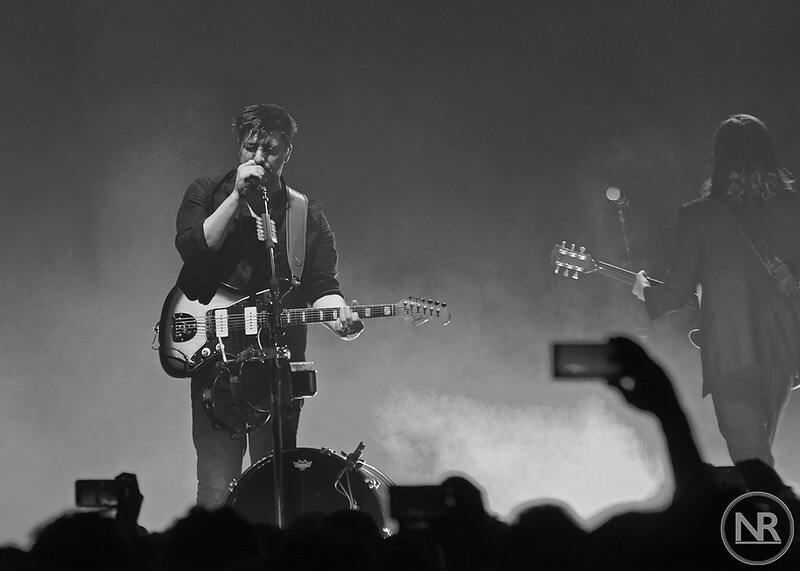 Birmingham is one of the lucky cities which hasn’t had to have its shows rescheduled for Summer next year, and even a string of heartfelt tweets from the band claiming to be “thankful for [our fan’s] patience” has still left some fans red faced with anger. There has been some extremely negative press from the critics not only for the new record, but for the first few shows on this tour. 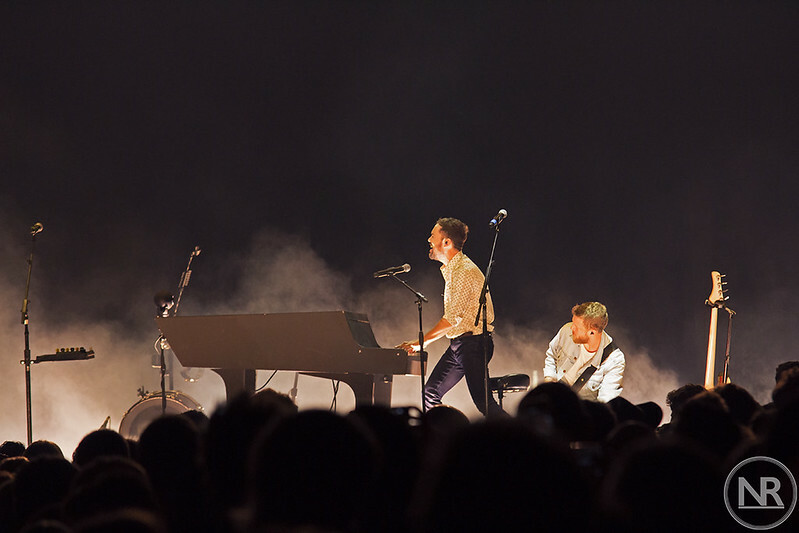 Many claim that the band are repeating themselves and that this brash and ambitious arena tour is simply a cash in to battle the U2 and Arcade fire sized productions that have been pinging around the globe for the past 12 months. It’s a shame, because tonight at least, we see a band reborn. No longer clad in the gimmicky trouser brace and waistcoat combinations of their youth, the once four piece band is now a nine piece ensemble of friends, session players and collaborators. During ‘Beloved’, opening act Maggie Rodgers even joins the band on stage. 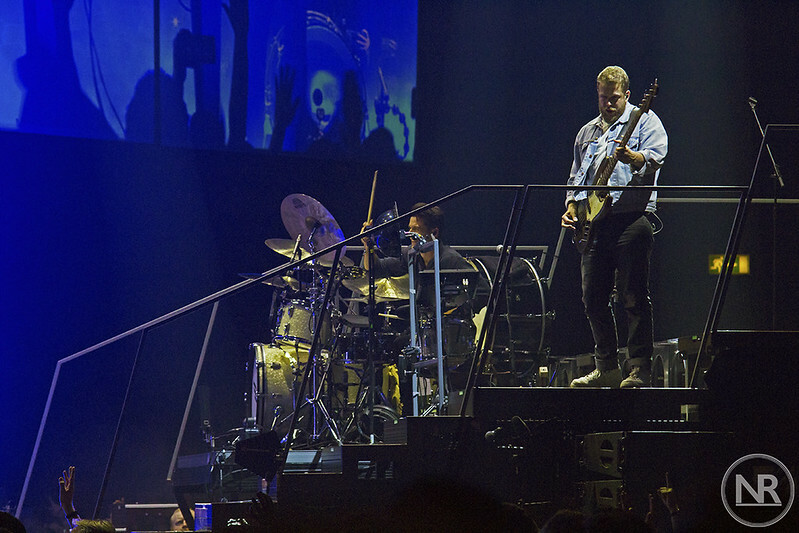 During 2015’s ‘Ditmas’, Marcus is truly keen to earn his chops as an arena showman. “Right then you dickheads, I hope you’re ready!” he squawks before diving headfirst into the crowd and running up the back of the arena and up into the cheap seats, leaving his personal security eating his dust. Interesting move set to the backdrop of a song that addresses accusations of him ‘living too fast’. It would seem the party isn’t quite over. Racing through fan favourites like ‘Babel’, ‘Roll away your stone’ and ‘The Cave’, The Genting Arena is whipped up into a folk pop frenzy as the final spectacle of this remarkable evening sees fireworks blast out of the stage floor during ‘Darkness Visible’. 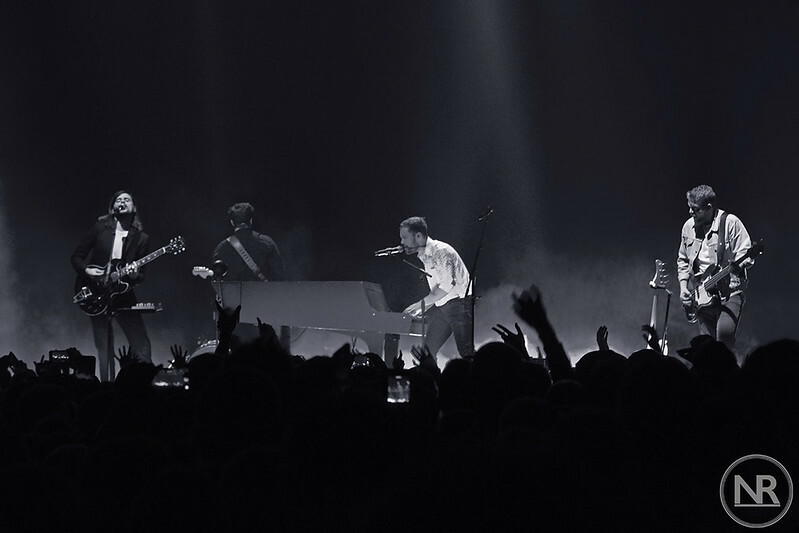 The band briefly go off stage before a rousing five song encore including not only their barnstorming hit ‘I will wait’ but also a stripped back version of ‘Timshel’ which sees the four core members of the band crowd round a single microphone, sun studios style, rendering a packed house of adoring fans completely silent. High praise indeed. Ending with the titular track of both the tour and the album, Mumford & Sons are to be commended for their efforts tonight. When you plunge yourself artistically and creatively into an idea only to be met with hostility from the critics and disappointing news from your production team, the last thing they probably wanted was to let their fans down, and whilst that can’t really be said for the 80,000 people that are going to have to wait 7 months to get their fix, the Birmingham audience were certainly ready to show their appreciation as the final foot stomps of the evening swirled up into the arena roof and into that pesky lighting rig.